The best of the best! I've been whitewater rafting, I've camped, and I love the National Parks... but to combine all three into this amazing adventure was beyond my imagination. 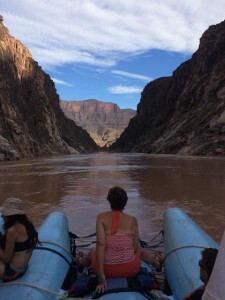 Three incredible days, 100 miles on the Colorado River thru the Grand Canyon. Sleeping under the stars, jumping off a cliff into "refreshing" water, whitewater rapids, and the majestic scenery. Western River thought of everything to make this a great experience. Top notch guides who were knowledgeable and fun.... incredible food... From the prop plane and helicopter ride to the river to the luxury bus ride home, and every wave, waterfall and campsite in between... it was perfection! Thank you for the memories to last a lifetime! !